World Champion, Kerrie Meares, and Physiological Performance Analyst, Michael Jordan, sit together and analyse 5 professional races of World Champions and break down the phsyiological aspects of their performances. By understanding both the tactics and physiology that athletes use at various times across a variety of events, you're able to understand what is going to work for you personally, using your physiological attributes to your own strengths in your own race situations. What Kerrie and Michael look at is the physiological aspects of performance. They analyse what each cyclist does with their energy systems and how they are best maximised for optimal performance. Then, they share with you what you can do to help your training, so you can make the most of the physiology that you possess, and improve the different aspects of your training, for greater riding speeds. Why we are analysing World Champion performances and the phsyiological energy systems that these athletes use at various points in the race. Understand your 3 dominant energy systems, and how they are used in your cycling. In this video, Kerrie Meares and Michael Jordan analyse the Women's Sprint Final from the London 2012 Olympic Games: Anna Meares versus Victoria Pendleton. The importance of your pulse rate when on the starting line, should it be low or high? The point of the race where Meares won the race, and why. The energy systems and tactics employed during the race. The physiological aspects of the race. Ways in which you can train and develop these two main physiological components to benefit your own training situation. What training you need to do to increase your power. What exercises to do in the gym. What reps and weights you should use. What buffering is and why it's so important to buffer the lactate. How you can sprint for longer. Training sessions you can do to improve your body's ability to buffer lactate, so you can sprint longer. Tips if you are a beginner. What body responses to expect when you do Anaerobic training. How to work out what Cameron needs to do to win the race. What inch gearing you're using and how to work out what cadence you need to ride. In long races, does it depend on your strength levels or pedalling effieciency to maintain your cadence? The wattage required when sitting at the front, or behind a rider. A tactic you can use to save 60% energy and improve your performance when riding in a bunch races. How breakaways can impact on the tactics and the energy system required. How Cameron Meyer's maintained his race pace during his break away. The tactic that won Cameron the World Championship, using his anaerobic and aerobic systems to ride at speeds for longer and preserving his energy. Strategies for you to work on with your phsyiological attributes, that you can apply to your own situations to increase the energy systems required to perform in endurance prominent track events. An example of a Road based training session. An example of a Track based training session. What cadences to use in these training sessions. Summary - the tactics that won Cameron the Points Race, and how they relate to the energy systems. The crucial anaerobic physiological components of this race, which importantly, once understood can assist you with your own racing. How Kenny calls on his Anaerobic physiological strengths which dominate the race tactics used in this situation. How to produce power quickly, in a high gear. What are fast twitch muscle fibres and when they are recruited. A training session you can do to help buffer your lactate. How to increase your cadence by 10% for this training session and improve your neuromuscular coordination as a result. How a lack of draft can win or lose the race! Why having big gaps between riders uses more energy. How and why big gaps between riders make a huge impact on fatigue, energy systems, physiology and performance. What the Anaerobic System is, and how it works. How the onset of blood lactate accumulation affects your training. A training session you can do to increase your lactate threshold. The importance of the start of a time trial - which system do you use? Should you go hard out at the start, or slowly get up to speed? And why. When you need to use your power in a time trial. How to maintain consistency throughout a time trial race. A training session you can do for your starts. What a sprint athlete should do to improve their starts, and how this relates to their energy systems. What is Cardiac Drift? And how to make adaptions. Summary - the 3 main energy systems and when they come into play during a race. The 2x principles for training your 3 energy systems, whether you're training one, or all the 3 of the systems. 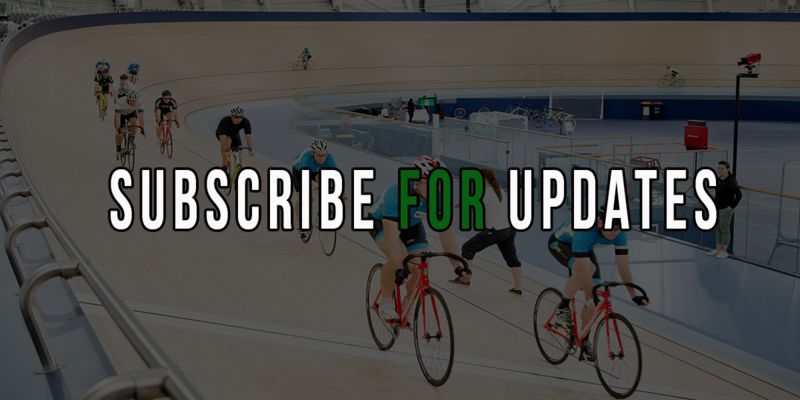 We've listed each track cycling event and along side them we have which energy systems are dominant for that event, so you know where to focus your training. This includes training exercises, and what training sessions we recommend you do depending on what energy system you're using. This is helpful so you know what to do at training to improve that energy system.